There have been several people asking for async request/reply in 0MQ/2.0. messages further on and ZMQ_UPSTREAM to get messages to process. destinations (use --with-streamer option to build it). 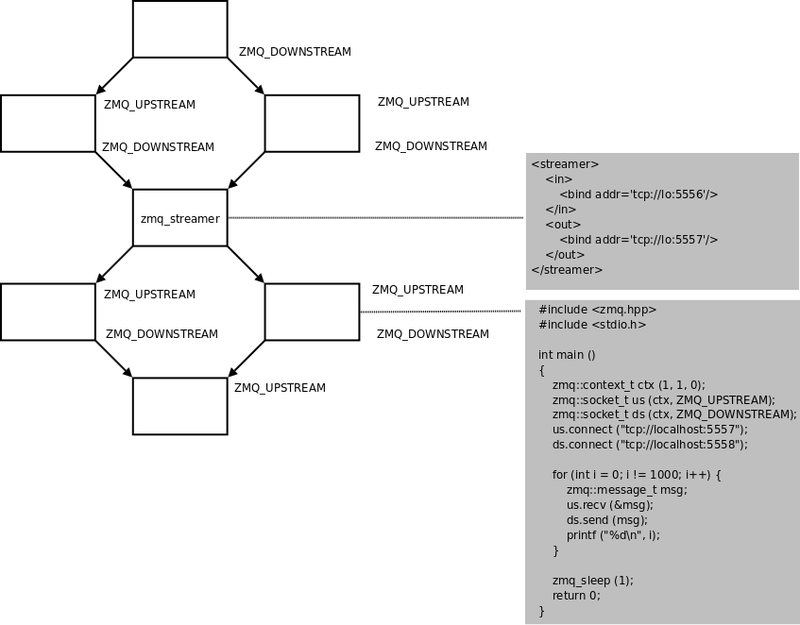 See attached diagram to get better understanding how "butterfly"
scenario can be implemented using new 0MQ socket types.